Bear Removals provide professional house removals and UK wide shipping and delivery services from our base in Pickering. If you're looking for experienced, reliable and careful shipping or house removals with a guaranteed friendly and personalized service, give Bear Removals a try. Our services include everything from nationwide house removals and man & van services to European light haulage and transportation logistics for companies. Fill in one of the forms on our site to get a fast low quote for removals or any delivery service - We'll be surprised if you can find better. It can often be difficult to confirm moving in dates for the parties involved in moving house. In some cases it may not be possible to arrange a perfect solution and you can be forced to move out before you are able to move in. In such cases, a short term storage solution can be incredibly useful. If you are moving but think you may need to use storage for a period we have a secure storage facility in Pickering, near York. We take on delivery jobs of all sizes and run regular light haulage trips for our contract clients throughout the UK. Our reputation has grown over the past 5 years and the majority of our transport and express delivery work comes from repeat customers. Our drivers and staff know UK routes and best practices for collections and deliveries thoroughly, which helps us as a business to save on costs and so be able to pass on lower prices to our customers. When you're moving house you need reliable and experienced people. Bear removals are have the answer with our friendly and professional service. Call today on 07580 581871 and find out why our clients remain our clients. Whatever you are shipping we collect, handle with care and deliver to destination fast. 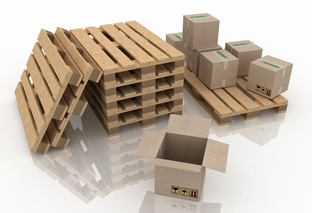 Our experience of UK and European logistics is a valuable asset for our business clients.